WEST LAFAYETTE, Ind. - Researchers have shown that an advanced cooling technology being developed for high-power electronics in military and automotive systems is capable of handling roughly 10 times the heat generated by conventional computer chips. The miniature, lightweight device uses tiny copper spheres and carbon nanotubes to passively wick a coolant toward hot electronics, said Suresh V. Garimella, the R. Eugene and Susie E. Goodson Distinguished Professor of Mechanical Engineering at Purdue University. This wicking technology represents the heart of a new ultrathin "thermal ground plane," a flat, hollow plate containing water. The research team from Purdue, Thermacore Inc. and Georgia Tech Research Institute is led by Raytheon Co., creating the compact cooling technology in work funded by the Defense Advanced Research Projects Agency, or DARPA. New findings indicate the wicking system that makes the technology possible absorbs more than 550 watts per square centimeter, or about 10 times the heat generated by conventional chips. This is more than enough cooling capacity for the power-electronics applications, Garimella said. The findings are detailed in a research paper appearing online this month in the International Journal of Heat and Mass Transfer and will be published in the journal's September issue. The paper was written by mechanical engineering doctoral student Justin Weibel, Garimella and Mark North, an engineer with Thermacore, a producer of commercial heat pipes located in Lancaster, Pa.
"We know the wicking part of the system is working well, so we now need to make sure the rest of the system works," North said. The new type of cooling system can be used to prevent overheating of devices called insulated gate bipolar transistors, high-power switching transistors used in hybrid and electric vehicles. The chips are required to drive electric motors, switching large amounts of power from the battery pack to electrical coils needed to accelerate a vehicle from zero to 60 mph in 10 seconds or less. Researchers are studying the cooling system using a novel test facility developed by Weibel that mimics conditions inside a real heat pipe. "The wick needs to be a good transporter of liquid but also a very good conductor of heat," Weibel said. "So the research focuses largely on determining how the thickness of the wick and size of copper particles affect the conduction of heat." Computational models for the project were created by Garimella in collaboration with Jayathi Y. Murthy, a Purdue professor of mechanical engineering, and doctoral student Ram Ranjan. 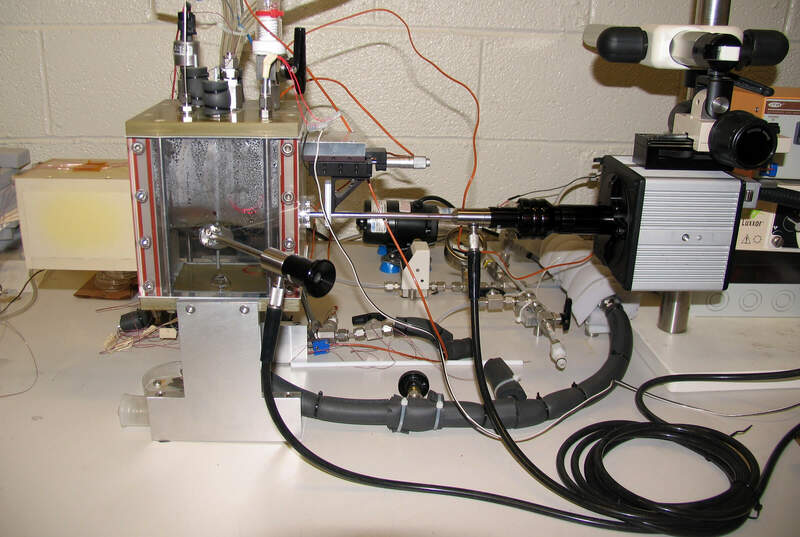 The carbon nanotubes were produced and studied at the university's Birck Nanotechnology Center in work led by mechanical engineering professor Timothy Fisher. "We have validated the models against experiments, and we are conducting further experiments to more fully explore the results of simulations," Garimella said. Inside the cooling system, water circulates as it is heated, boils and turns into a vapor in a component called the evaporator. The water then turns back to a liquid in another part of the heat pipe called the condenser. The wick eliminates the need for a pump because it draws away fluid from the condenser side and transports it to the evaporator side of the flat device, Garimella said.